Last weekend saw the #blogblitz for the brilliant, In the Wake of Death by Billy McLaughlin. 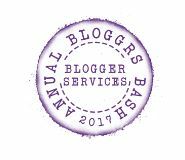 I’d like to say a massive thank you to each and every blogger who took part and to all their readers for the shares and retweets! I was a little out of action as I was hit with the dreaded flu, so apologies if I missed sharing anyone’s posts! You can find the whole line up below ~ check some of the super guest posts and reviews! The lucky winner of the giveaway is Claire Knight!! Well done Claire, please get in touch and we will organise your prize!